Nabhan, G. P. (2019). Ha'icu Bahidag Esa. Planting fruit trees (and preserving fruit) on the Papago Indian Reservation. . 1980..
Nabhan, G. P. (2018). Food from the radical center : healing our land and communities . Washington, DC Island Press. Nabhan, G. P. (2018). Mesquite : an arboreal love affair . White River Junction, Vermont Chelsea Green Publishing. Nabhan, G. P. (2016). Ethnobiology for the future : linking cultural and ecological diversity . Tucson : The University of Arizona Press. Charnley, S., Sheridan, T. E., Nabhan, G. P., & Corporation, E. (2014). Stitching the West back together : conservation of working landscapes . Nabhan, G. P., Shere, T., Mirocha, P., & ebrary, I. (2014). Cumin, camels, and caravans : a spice odyssey . Berkeley, California. Nabhan, G. P. (2013). Food, Genes, and Culture: Eating Right for Your Origins . Washington, DC: Island Press/Center for Resource Economics. Nabhan, G. P. (2013). Growing food in a hotter, drier land : lessons from desert farmers on adapting to climate uncertainty . White River Junction, Vt. : Chelsea Green Pub..
Nabhan, G. P., & Mirocha, P. (. (2012). Desert Terroir: Exploring the Unique Flavors and Sundry Places of the Borderlands . Austin, TX: U of Texas P.
Bradley-Shurtz, K. (2011). Priests, Pork Shoulders, and Chicken Halves: Barbecue for a Cause at St. Patrick's Irish Picnic . Nashville, TN: Vanderbilt UP. Deutsch, J. (2011). Swine by Design: Inside a Competition Barbecue Team . Nashville, TN: Vanderbilt UP. Edge, J. T. (2011). Patronage and the Pits: A Portrait, in Black and White, of Jones Bar-B-Q Diner in Marianna, Arkansas . Nashville, TN: Vanderbilt UP. Fertel, R. T. (2011). Identity, Authenticity, Persistence, and Loss in the West Tennessee Whole-Hog Barbecue Tradition . Nashville, TN: Vanderbilt UP. Knipple, A., & Knipple, P. (2011). Barbecue as Slow Food . Nashville, TN: Vanderbilt UP. Maclin, E. M. (2011). The Changing Landscape of Mid-South Barbecue . Nashville, TN: Vanderbilt UP. Maclin, E. M., & Veteto, J. R. (2011). Mid-South Barbecue in the Digital Age and Sustainable Future Directions . Nashville, TN: Vanderbilt UP. Moss, R. F. (2011). A History of Barbecue in the Mid-South Region . Nashville, TN: Vanderbilt UP. Nolan, J. M. (2011). Piney Woods Traditions at the Crossroads: Barbecue and Regional Identity in South Arkansas and North Louisiana . Nashville, TN: Vanderbilt UP. Veteto, J. R. (2011). Southern Barbecue Sauce and Heirloom Tomatoes . Nashville, TN: Vanderbilt UP. Veteto, J., Maclin, E., & Nabhan, G. (2011). The Slaw and the Slow Cooked: Culture and Barbecue in the Mid-South . Nashville, TN: Vanderbilt UP. Nabhan, G. P., & National, W. (2010). Heritage farming in the Southwest . Tucson, Ariz. : Western National Parks Association. Nabhan, G. P., & ebrary, I. (2009). Retracing Nikolay Vavilov's quest to end famine . Washington D.C. : Island Press/Shearwater Books. Nabhan, G. P. (2008). Arab/American : landscape, culture, and cuisine in two great deserts . Tucson : University of Arizona Press. Nabhan, G. P. (2008). Senses of place--y de placer--in baja Arizona / by Gary Paul Nabhan. . Tucson, Ariz. : Pima County Public Library, Southwest Literature Project. Friederici, P., & Nabhan, G. P. (2005). Earth notes : exploring the Southwest's Canyon Country from the airwaves : from the popular KNAU public radio show . Grand Canyon, AZ : Grand Canyon Association. Nabhan, G. P., West, P., Pirog, R., & Arizona, N. (2005). Linking Arizona's sense of place to a sense of taste : marketing the heritage value of Arizona's place-based foods / by Gary P. Nabhan, Patty West and Rich Pirog. . Flagstaff, Ariz. : Center for Sustainable Environments, Northern Arizona University. Nabhan, G. P. (2004). Conserving migratory pollinators and nectar corridors in western North America . Tucson : University of Arizona Press : Arizona-Sonora Desert Museum. Nabhan, G. P. (2004). Cross-Pollinations: The Marriage of Science and Poetry . Minneapolis, MN: Milkweed. Nabhan, G. P., Coder, M., & Smith-Rex, S. J. (2004). Woodlands in crisis : a legacy of lost biodiversity on the Colorado Plateau . Flagstaff, Ariz. : Ralph M. Bilby Research Center, Northern Arizona University. Nabhan, G. P. (2003). Singing the turtles to sea : the ComcÃ¡ac (Seri) art and science of reptiles . Berkeley : University of California Press. Valenzuela, Z., & Nabhan, G. P. (2003). Tequila : a natural and cultural history . Tucson : University of Arizona Press. Maffi, L., Nabhan, G. P., Pynes, P., Seibert, D., Sisk, T. D., Stevens, L. E., Trimble, S., Arizona, N., (Organization), T., & Canyon, G. (2002). Ecoregional assessment of biocultural diversity . S.l. : The Center for Sustainable Environments. Nabhan, G. P. (2002). Coming home to eat : the pleasures and politics of local foods . New York : Norton. Nabhan, G. P. (2002). Diabetes, Diet, and Native American Foraging Traditions . New York, NY: Routledge. Nabhan, G. P. (2002). The desert smells like rain : a naturalist in O'Odham country . Tucson : University of Arizona Press. Astorga, A., Nabhan, G. P., & Miller, J. K. (2001). EfraÃ­n of the Sonoran Desert : a lizard's life among the Seri Indians . El Paso, Tex. : Cinco Puntos Press. Nabhan, G. P., County, P., & Arizona-Sonora, D. (2000). Unregulated development, service demand . Tucson, Ariz. : Pima County Administrator's Office. Nabhan, G. P., Deming, A. H., & Shelton, R. (2000). Writers rally around the ironwood tree : a reading in support of the Ironwood Preserve, a proposal of the Sonoran Desert Conservation Plan . Tucson, Ariz. : s.p..
Nabhan, G. P., Donovan, J., in, P., & Arizona-Sonora, D. (2000). Designing corridors for conservation, restoring connectivity for migrant wildlife through wildlands and adjacent croplands to ensure "nature's services" . Tucson : Arizona-Sonora Desert Museum for Partners in Pollination Network. Burckhalter, D. L., Nabhan, G. P., & Sheridan, T. E. (1998). La vida norteÃ±a : photographs of Sonora, Mexico . Albuquerque : University of New Mexico Press. Nabhan, G. P. (1998). Food, Health, and Native-American Farming and Gathering . Albany, NY: State U of New York P.
Nabhan, G. P., & Tangram, P. (1998). Creatures of habitat : poems of creatures, seeds, and their places : with new translations of Native American songs . Berkeley, Calif. : Tangram. Tuxill, J. D., Nabhan, G. P., Drexler, E., & Hathaway, M. (1998). Plants and protected areas : a guide to in situ management . Cheltenham : Stanley Thornes. Nabhan, G. P. (1997). Cultures of habitat : on nature, culture, and story . Washington : Counterpoint. Buchmann, S. L., & Nabhan, G. P. (1996). The forgotten pollinators . Washington, D.C. : Island Press for Shearwater Books. Nabhan, G. P. (1996). Epilogue . Tucson, AZ: U of Arizona P.
Risseeuw, J., Prentice, M., Stafford, K. R., Nabhan, G. P., Press, C., & Studio, M. P. (1996). Spirit land . Tempe, Ariz. : Cabbagehead Press. Nabhan, G. P., & Wilson, C. (1995). Canyons of color : Utah's Slickrock Wildlands . San Francisco : HarperCollinsWest. Nabhan, G. P., & Klett, M. (1994). Desert legends : re-storying the Sonoran borderlands . New York : Holt. Nabhan, G. P., & Trimble, S. (1994). The Geography of Childhood: Why Children Need Wild Places. The Concord Library. .
Nabhan, G. P., Carr, J., & International, C. (1994). Ironwood : an ecological and cultural keystone of the Sonoran Desert . Washington, DC : Conservation International. Nabhan, G. P. (1993). Counting Sheep 20 Ways of Seeing Desert Bighorn. . Tucson University of Arizona Press. Nabhan, G. P. (1993). Songbirds, truffles, and wolves : an American naturalist in Italy . New York : Pantheon Books. Dahl, K., & Nabhan, G. P. (1992). Conservation of plant genetic resources : grassroots efforts in North America . Nairobi, Kenya : ACTS Press, African Centre for Technology Studies. Nabhan, G. P. (1992). Native Crops of the Americas: Passing Novelties or Lasting Contributions to Diversity? . Tucson: U of Arizona P.
Nabhan, G. P., Elling, K., & Press, M. M. (1990). The seed of a song . Paradise Valley, Ariz : Mummy Mountain Press. Nabhan, G. P., & Berry, W. (. (1989). Enduring Seeds: Native American Agriculture and Wild Plant Conservation . San Francisco: North Point. Nabhan, G. P., & Botanical, D. (1988). Desert wildflowers . Phoenix? Ariz. : Arizona Dept. of Transportation. Nabhan, G. P., & Parks, S. (1986). Saguaro : a view of Saguaro National Monument & the Tucson Basin . Tucson, Ariz. : Southwest Parks and Monuments Association. Nabhan, G. P. (1985). Gathering the desert . Tucson, Ariz. : University of Arizona Press. Nabhan, G. P. (1982). The Desert Smells like Rain. . San Francisco North Point Press. Nabhan, G. P. (1982). The desert smells like rain : a naturalist in Papago Indian country . San Francisco : North Point Press. Bellante, L., Nabhan, G. P., & Univ, A. (2017). Borders Out of Register: Edge Effects in the U.S.-Mexico Foodshed. Nabhan, G. P. (2017). Agnese Nelms Haury: No Armchair Traveler, She. Journal of the Southwest , 59(3), 410-415. Grenade, R., Nabhan, G., & CariÃ±o, O. M. (2016). Journal of the Agriculture, Food, and Human Values Society. Agric Hum Values , 33(2), 455-474. Wilder, B. T., O'Meara, C., Monti, L., & Nabhan, G. P. (2016). The Importance of Indigenous Knowledge in Curbing the Loss â¨of Language and Biodiversity. BioScience , 66(6), 499-509. Nabhan, G. P., Museum, A. D., & Department, o. (2015). Southwestern Indian Sunflowers. CALS Publications Archive. The University of Arizona. .
Teiwes, H., Nabhan, G. P., Museum, A. S., & Seeds/SEARCH, S. (2015). Tepary Beans, O'Odham Farmers and Desert Fields. CALS Publications Archive. 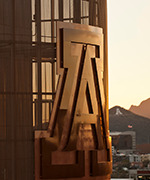 The University of Arizona. . Grenade, R., Krueger, R., Nabhan, G., & CariÃ±o, O. M. (2014). Mission and Modern Citrus Species Diversity of Baja California Peninsula Oases. Econ Bot , 68(3), 266-282. Nabhan, G. P. (2014). Aromas Emanating from the Driest of Places. Gastronomica: The Journal of Food and Culture , 14(1), 44-50. Nabhan, G. P. (2014). Food Security, Biodiversity and Human Health: Ethnobiology as a Predictive Science. Journal of Ethnobiology , 34(1), 7-11. Nabhan, G. P. (2014). Grow food in drought & heat: these six strategies, along with dozens of recommended short-season annual crop varieties, will keep your garden thriving as the climate heats up. Mother Earth News , 30. De, G. R., & Nabhan, G. P. (2013). Baja California peninsula oases: An agro-biodiversity of isolation and integration. Applied Geography , 41, 24. Nabhan, G. P. (2013). Ethnobiology for A Diverse World: Autobiology? The Traditional Ecological, Agricultural and Culinary Knowledge of US!. Journal of Ethnobiology , 33(1), 2-6.
de, G. R., & Nabhan, G. P. (2013). Agrobiodiversity in an Oasis Archipelago. Journal of Ethnobiology , 33(2), 203-236. Nabhan, G. P., & Martinez, D. (2012). Traditional Ecological Knowledge and Endangered Species Recovery: Is Ethnobiology for the Birds?. Journal of Ethnobiology , 32(1), 1-5. Nabhan, G. P. (2011). From coa to barbacoa to barbecue. The Slaw and the Slow Cooked: Culture and Barbecue in the Mid-South , vii-x. Nabhan, G. P., Chambers, K., Tecklin, D., Perramond, E., & Sheridan, T. E. (2011). Ethnobiology for A Diverse World Defining New Disciplinary Trajectories: Mixing Political Ecology with Ethnobiology. Journal of Ethnobiology , 31(1), 1-3. Nabhan, G. P., Wyndham, F., & Lepofsky, D. (2011). Ethnobiology for a Diverse World Ethnobiology Emerging From a Time of Crisis. Journal of Ethnobiology , 31(2), 172-175. Nabhan, G. P. (2010). A Fig by Any Other Name. Gastronomica , 10(3), 14-18. Nabhan, G. P. (2010). Ethnobiology for a Diverse World: Microbial Ethnobiology and the Loss of Distinctive Food Cultures. Journal of Ethnobiology , 30(2), 181-183. Nabhan, G. P. (2010). Perspectives in ethnobiology: Ethnophenology and climate change. Journal of Ethnobiology , 30(1), 1-4. Nabhan, G. P., & Thompson, C. (2010). Seeds money. Economist , 397(8713). Nabhan, G. P., Walker, D., & Moreno, A. M. (2010). Biocultural and Ecogastronomic Restoration: The Renewing America's Food Traditions Alliance. Ecological Restoration , 28(3), 266-271. Nabhan, G. P. (2009). Perspectives in ethnobiology: Ethnoecology: Bridging disciplines, cultures and species. Journal of Ethnobiology , 29(1), 3-7. Nabhan, G. P. (2008). CAMEL WHISPERERS: Desert Nomads Crossing Paths. The Journal of Arizona History , 49(2), 95-118. Nabhan, G. P. (2008). Senses of place-y de placer-in baja Arizona. Journal of the Southwest , 50(4), 465-470. Nabhan, G. P. (2007). A hunger for company. Nature , 446(7138), 858. Nabhan, G. P. (2007). A terroir-ist's manifesto for eating in place.(Poem). Whole Life Times . Nabhan, G. P. (2007). Agrobiodiversity Change in a Saharan Desert Oasis, 1919â2006: Historic Shifts in Tasiwit (Berber) and Bedouin Crop Inventories of Siwa, Egypt. Economic Botany , 61(1), 31-43. Nabhan, G. P. (2006). A taste of home. (local cooking recipes)(Recipe). Sierra , 91(6), 59. Nabhan, G. P. (2006). Home cooking. (Green Cuisine)(cooking locally grown food). Sierra , 91(6), 56. Nabhan, G. P. (2005). How green is our valley. OnEarth , 27(1), 12. Nabhan, G. P. (2005). Jane Mt. Pleasant: Iroquois tradition plus Western science equals a more sustainable future. (Smithsonian magazine's 35 who made a difference)(Biography). Smithsonian , 36(8), 45. Nabhan, G. P. (2004). Stuck on the desert. (Cabeza Prieta National Wildlife Refuge). Sierra , 89(2), 39. Nabhan, G. P. (2003). Destruction of an Ancient Indigenous Cultural Landscape: An Epitaph from Organ Pipe Cactus National Monument. Ecological Restoration , 21(4), 290-295. Hook, R. D., & Nabhan, G. P. (2002). The desert smells like rain: A naturalist in O'Odam country. Electronic Green Journal . Nabhan, G. P., Pynes, P., & Joe, T. (2002). Safeguarding Species, Languages, and Cultures in the Time of Diversity Loss: From the Colorado Plateau to Global Hotspots. Annals of the Missouri Botanical Garden , 89(2), 164-175. Nabhan, G. P. (2001). Nectar Trails of Migratory Pollinators Restoring Corridors on Private Lands. Conservation in Practice , 2(1), 20-26. Nabhan, G. P. (2000). Cultural Dispersal of Plants and Reptiles to the Midriff Islands of the Sea of CortÃ©s: Integrating Indigenous Human Dispersal Agents into Island Biogeography. Journal of the Southwest , 42(3), 545-558. Nabhan, G. P. (2000). INTERSPECIFIC RELATIONSHIPS AFFECTING ENDANGERED SPECIES RECOGNIZED BY O'ODHAM AND COMCÃAC CULTURES. Ecological Applications , 10(5), 1288-1295. Nabhan, G. P. (1999). Coming out on solid ground after the Ice Age.(poem). The Amicus Journal , 20(4), 7. Tewksbury, J. J., Nabhan, G. P., Norman, D., SuzÃ¡n, H., Tuxill, J., & Donovan, J. (1999). In Situ Conservation of Wild Chiles and Their Biotic Associates. Conservation Biology , 13(1), 98-107. Allen-Wardell, G., Bernhardt, P., Bitner, R., Burquez, A., Buchmann, S., Cane, J., Cox, P. A., Dalton, V., Feinsinger, P., Ingram, M., Inouye, D., Jones, C. E., Kennedy, K., Kevan, P., Koopowitz, H., Medellin, R., Medellin-Morales, S., Nabhan, G. P., Pavlik, B., , Tepedino, V., et al. (1998). The Potential Consequences of Pollinator Declines on the Conservation of Biodiversity and Stability of Food Crop Yields. Conservation Biology , 12(1), 8-17. NABHAN, G. P. (1998). Songs of the Seri. (Seri Indian ecotourism on the Sea of Cortez). Sierra , 83(6), 64. Nabhan, G. P., Dowie, M., Zwinger, A., & Durning, A. T. (1998). Who is your favorite nature writer? (four environmentalists remark on their favorite nature writers)(Brief Article)(Column). Sierra , 83(5), 92. Broyles, B., Felger, R. S., Nabhan, G. P., & Evans, L. (1997). Our Grand Desert: A Gazetteer for Northwestern Sonora, Southwestern Arizona, and Northeastern Baja California. Journal of the Southwest , 39(3/4), 703-856. Felger, R. S., Broyles, B., Wilson, M., & Nabhan, G. P. (1997). The Binational Sonoran Desert Biosphere Network and Its Plant Life. Journal of the Southwest , 39(3/4), 411-560. Nabhan, G. P. (1997). Pollinator and predator. (endangered species as pollinators. Whole Earth , 74. Nabhan, G. P. (1997). Why chilies are hot. (an examination of the adaptive mechanisms of chili plants in ensuring their dispersal and survival in the Sonoran Desert). Natural History , 106(5), 24. Buchmann, S. L., & Nabhan, G. P. (1996). The pollination crisis: the plight of the honey bee and the decline of other pollinators imperils future harvests. (adapted from 'The Forgotten Pollinators'). The Sciences , 36(4), 22. Nabhan, G. P. (1996). Sorcerers' apprentice. (Aztec magico-religious practices). The Sciences , 36(1), 40. Nabhan, G. P. (1995). Finding the Hidden Garden. Journal of the Southwest , 37(2), 401-415. Nabhan, G. P. (1995). The Dangers of Reductionism in Biodiversity Conservation. Conservation Biology , 9(3), 479-481. Nabhan, G. P. (1995). The Rapture of Discovering (How Wrong We Can Be).. Trumpeter , 12(2), 59-61. Loutit, B., Montgomery, S., Jope, K. L., Palazzo, J. T., Vidal, O., Warren, P., Nabhan, G. P., Britten, H. B., Brussard, P. F., & Murphy, D. D. (1994). Letters. Conservation Biology , 8(4), 923-930. Nabhan, G. P. (1994). Proximate and Ultimate Threats to Endangered Species. Conservation Biology , 8(4), 928-929. Nabhan, G. P. (1993). In Mother Nature's Drugstore. (Book Review Desk). The New York Times Book Review . Nabhan, G. P., & Fleming, T. (1993). The Conservation of New World Mutualisms. Conservation Biology , 7(3), 457-462. Nabhan, G. P. (1992). A restoried land. (habitat restoration). Sierra , 77(3), 32. Nabhan, G. P. (1992). Desert rescuers. (endangered species must be protected)(includes related article). World Monitor: The Christian Science Monitor Monthly , 5(7), 36. Nabhan, G. P. (1992). Hummingbirds and human aggression: a view from the High Tanks. The Georgia Review , 46(2), 213. Nabhan, G. P. (1992). Native American Cornucopia. Native Peoples: The Arts and Lifeways , 5(3), 10-16. Anderson, K., & Nabhan, G. P. (1991). Gardeners in Eden. (native American land management ). Wilderness , 55(194), 27. Nabhan, G. P. (1991). Restoring and Re-storying the Landscape. Restoration & Management Notes , 9(1), 3-4. Nabhan, G. P. (1991). The return of native crops: traditional Native American foods deserve to be revived both for their healthfulness and their appropriateness to the land. (excerpt from 'Our Substainable Table'). East West , 21(4), 97. Nabhan, G. P. (1989). Seeds of renewal. (preservation of ancient plant species). World Monitor: The Christian Science Monitor Monthly , 2(1), 17. Nabhan, G. P., Hodgson, W., & Fellows, F. (1989). A Meager Living on Lava and Sand? Hia Ced O'odham Food Resources and Habitat Diversity in Oral and Documentary Histories. Journal of the Southwest , 31(4), 508-533. Nabhan, G. P. (1988). Invisible Erosion: The Rise and Fall of Native Farming. Journal of the Southwest , 30(4), 552-572. Nabhan, G. P., & Rea, A. (1987). Plant Domestication and FolkâBiological Change: The Upper Piman/Devil's Claw Example. American Anthropologist , 89(1), 57-73. Nabhan, G. (1985). Native crop diversity in Aridoamerica: Conservation of regional gene pools. Econ Bot , 39(4), 387-399. Nabhan, G. P., & Reichhardt, K. L. (1983). Hopi Protection of Helianthus anomalus, a Rare Sunflower. The Southwestern Naturalist , 28(2), 231-235. Nabhan, G. P. (1979). Agro-Ecosystems. Agro-Ecosystems , 5(3), 245-255. Sheridan, T. E., & Nabhan, G. P. (1978). Living with a River: Traditional Farmers of the Rio San Miguel. The Journal of Arizona History , 19(1), 1-16. Nabhan, G. P. (1977). Living Fencerows of the Rio San Miguel, Sonora, Mexico: Traditional Technology for Floodplain Management. Human Ecology , 5(2), 97-111. Nabhan, G. P. (1977). Viable Seeds from Prehistoric Caches? Archaeobotanical Remains in Southwestern Folklore. Kiva , 43(2), 143-159. Nabhan, G., & Sheridan, T. (1977). An Interdisciplinary Journal. Hum Ecol , 5(2), 97-111. Nabhan, G. P. (2015, 2015). Tepary bean domestication: ecological and nutritional changes during Phaseolus acutifolius evolution. Tepary bean domestication: ecological and nutritional changes during Phaseolus acutifolius evolution. Nabhan, G. P. (2013, 2013). Our Coming Food Crisis. (Editorial Desk)(OP-ED CONTRIBUTOR)(Viewpoint essay). Our Coming Food Crisis. (Editorial Desk)(OP-ED CONTRIBUTOR)(Viewpoint essay). Routson, R., Nabhan, G. P., Robbins, P. F., Carino-Olvera, M., Fish, S., Marsh, S., & Yool, S. (2012, 2012). Conservation of agro-biodiversity in Baja California oases. Conservation of agro-biodiversity in Baja California oases. Nabhan, G. P., Van, A. W., & Hutchinson, C. (2011, 2011). Papago fields : arid lands ethnobotany and agricultural ecology. Papago fields : arid lands ethnobotany and agricultural ecology. Nabhan, G. P. (2010, 2010). Remedies for a New West: Healing Landscapes, Histories, and Cultures (Book Review). Remedies for a New West: Healing Landscapes, Histories, and Cultures (Book Review). Nabhan, G. P., & of, U. (2009, 2009). Reading  with Gary Paul Nabhan at the University of Arizona Poetry Center, Tucson: March 5, 2009.. Reading  with Gary Paul Nabhan at the University of Arizona Poetry Center, Tucson: March 5, 2009..
Nabhan, G. P. (2004, 2004). Why Some Like It Hot: Foods, Genes and Cultural Diversity. (Book Review). Why Some Like It Hot: Foods, Genes and Cultural Diversity. (Book Review). Nabhan, G. P. (1996, 1996). A War of the Witches: A Journey into the Underworld of the Contemporary Aztecs. A War of the Witches: A Journey into the Underworld of the Contemporary Aztecs. Nabhan, G. P. (1996, 1996). Snake Poems: An Aztec Invocation. Snake Poems: An Aztec Invocation. Nabhan, G. P. (1995, 1995). Before the Wilderness: Environmental Management by Native Californians . Thomas C. Blackburn and Kat Anderson, eds. Before the Wilderness: Environmental Management by Native Californians . Thomas C. Blackburn and Kat Anderson, eds. Nabhan, G. P. (1993, 1993). Tales of a Shaman's Apprentice: An Ethnobotanist Searches for New Medicines in the Amazon Rain Forest. (Brief Article). Tales of a Shaman's Apprentice: An Ethnobotanist Searches for New Medicines in the Amazon Rain Forest. (Brief Article). Nabhan, G. P. (1992, 1992). Threatened native American plants. Threatened native American plants. Nabhan, G. P. (1989, 1989). Wild Rice and the Ojibway People (Book Review). Wild Rice and the Ojibway People (Book Review). Nabhan, G. P. (1987, 1987). Conservation of Crop Germplasm (Book Review). Conservation of Crop Germplasm (Book Review). Nabhan, G. P. (1987, 1987). How to grow native plants of Texas and the Southwest. How to grow native plants of Texas and the Southwest. Nabhan, G., Gardner, F., Paden, R., Lyon, J., Holly, M., Gold, M., Edens, T., & Lawless, R. (1987, 1987). Journal of the Agriculture, Food, and Human Values Society. Journal of the Agriculture, Food, and Human Values Society. Nabhan, G. P. (1983, 1983). Papago fields : arid lands ethnobotany and agricultural ecology. Nabhan, G. P. (1979, 1979). Wind in the rock. (Children's Review). Wind in the rock. (Children's Review). Nabhan, G. P. (1976, 1976). North Book by Jim Green (review). North Book by Jim Green (review). Nabhan, G. P. (1976, 1976). North Book (Book Review). North Book (Book Review). Nabhan, G. P. (1969, 1969). Gary Paul Nabhan papers, 1969-ongoing.. Gary Paul Nabhan papers, 1969-ongoing..